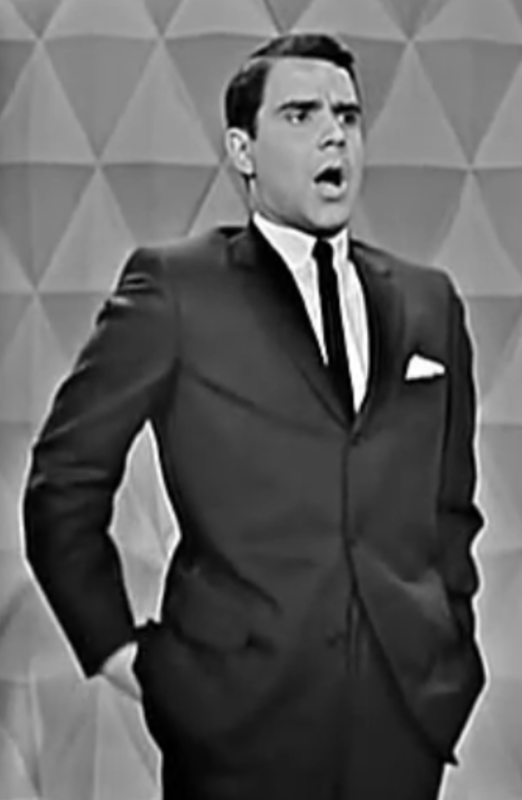 I wonder if famed celebrity impersonator Rich Little could do a mimic octopus impersonation, or if the mimic octopus’ Rich Little impression would be more convincing? Lion fish – The lion fish is a poisonous fish with the brown and white stripes and spines that trail behind it on all sides. When the octopus changes its color and shapes its eight legs to look like spines, it is indeed conceivable that to the eyes of a potential predator, what might otherwise look like suitable prey, appears in fact as a highly venomous creature that should be avoided. Sea snake – If under attack, a mimic octopus may hide completely in a hole except for two of its legs, which it sticks out in opposite directions. What remains in view is a long thin object with white and black bands running across the elongated body. Again the prospect of tangling with the highly venomous sea snake is something many predators would not attempt, and they therefore may swim away, leaving the octopus unharmed. 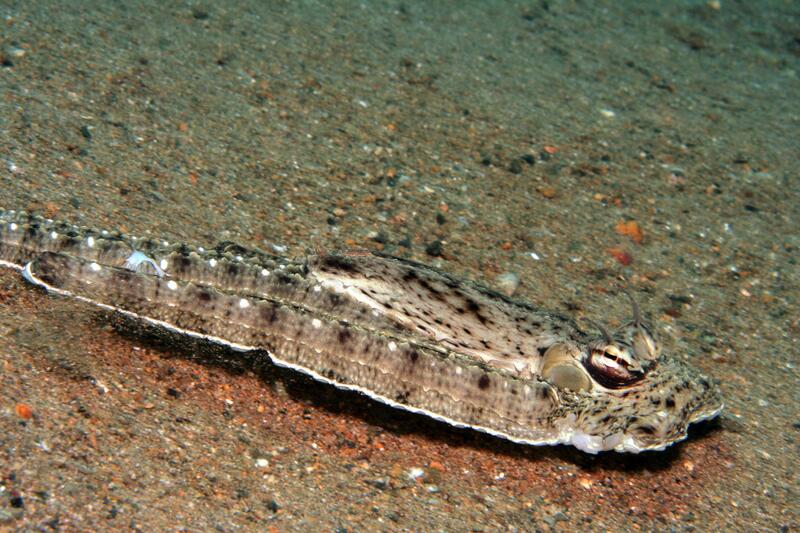 Flatfish – By pulling its arms together on one side, and flattening out his body while moving forward along the ocean floor, the mimic octopus imitates a flatfish. *Has anyone else noticed some of their snarkier friends calling Easter “Zombie Jesus Day” lately? It seems like the new “in” thing to do. This entry was posted in Uncategorized and tagged animals, biology, funny names, humor, humour, mimic, nature, octopus. Bookmark the permalink. How have we not heard of this yet? It is indeed the Rich Little of the Sea, the Karma Chameleon of the Underworld. Truly a master of deceit. How do mimic octopi even fall in love with each other to mate if they are constantly morphing? What if a lion fish falls in love with WHAT HE THINKS is another lion fish, only to be foiled–like a scene from “The Crying Game”? And wouldn’t this make a great superhero? Certainly better than Aquaman. Clearly Jim Carrey would have to play him. I’m sure this is a fantastically wise and savvy comment, Kerbey, but you lost me at Karma Karma Karma Karma Karma Chameleoooonnnnn. It is totally wise and concerning shapeshifting. Although Boy George has done some shapeshifting as well. Perhaps he is kin to a mimic octopus. A British one. You come and go…. you come and go. Love that nature clip! And love Kerbey’s comment comicalities these days! For sure… it has actually earned Kerbey a Wednesday slot – she’ll be taking one of Amb’s Wednesdays! She’ll be making her debut this week! Woohoo! Yeah, resurrected Christ is just like a zombie! And let’s call Christmas Chucky Doll Day! Because the baby Jesus is just like the Chucky Doll in Child’s Play! Down with Zombie Jesus Day. He came back in a perfect body, not a bloody, groaning one. an entirely new direction! Who knew? As the author of this post, I can honestly say no one knew. Up until a zoologist friend’s Facebook status last night, I had no idea what the topic of my Monday post would be. A pleasant, and fascinating, surprise!